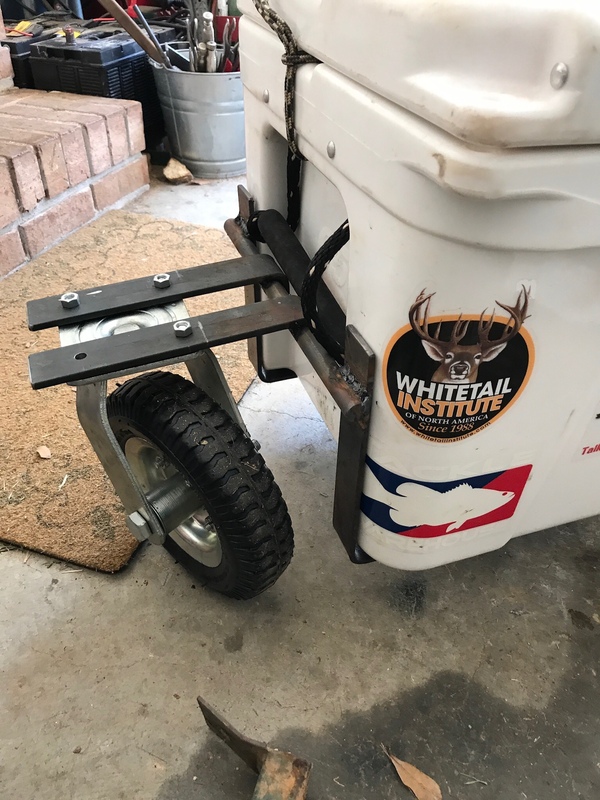 I fabricated wheels for my Yeti several years ago and the wheels have worked wonderfully. But I couldn't let it go at that so I have fabricated a third wheel and now working on a pull lanyard. This is what happens when you leave me mind idle for to long. Dave you will have to ask the Boss lady she pulls it for me. Nice job metalman that will make thing a little easier- Now fill it up with some backstraps! !